A short but important article is here regarding UAE Resignation Rules or UAE Visa Cancellation Rules. 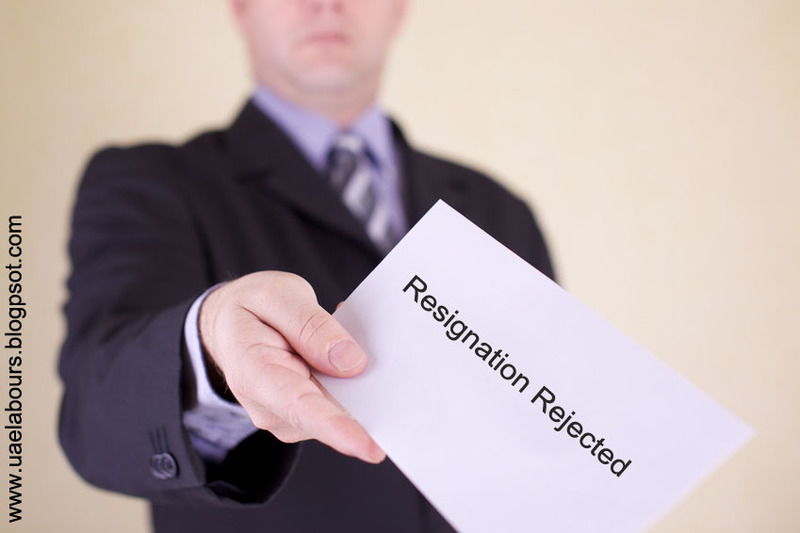 Q: Can an Employer (company) reject an employee's (workers) resignation? No, an Employer or Company can not reject Employee resignation, Employee have the right to resign at any time by serving notice or Resignation Letter. Q: If you want to Apply Cancellation after completing Contract Period but your employer (company) refuses or rejected your resignation, what should you do or what are the legal ways to follow in United Arab Emirates? The best and Legal way is to File a Complaint with the Ministry of Labour against your current employer who refuses to accept your Resignation Notice. pursuant to this, the Ministry of Labour will call upon your current employer to accept your resignation or cancellation. What to do if Employer refuses again after MOL call? If your employer (company) rejected or refuses your resignation you may seek a letter from Ministry of Labour. The letter will enable you to file a case against your employer before the court of competent Jurisdiction. Important Note: Housemaid/Nanny Visa holders are not under Ministry of Labour, they are under Ministry of Interior (Immigration). So, If you own a Housemaid/Nanny Visa you have to file a complaint in Immigration office. I want to resign to my company im 1 year and 1 month i want to ask if i possible my company will banned to me? ?